Together with their environment, bees represent a single sphere of unity, held together by thousands of dependent mutual relationships. It includes relationships: to pollen, between the individuals in the colony, to local hives, to their comb, to the bacteria in the comb, propolis, local plants, the queen, the local climate, and for managed hives, the beekeeper. When bees get sick, it is a sign of a broken relationship creating imbalance or disunity. Humans on the other hand are masters of disunity and independence, or so we think. If the fields are over worked, we 'fix' it with chemical fertiliser. If the mono crops create an imbalance of pests, we 'solve' it with pesticides. If a plant is not productive enough, we genetically modify it. For humans, independence is seen as strength, and dependence a weakness. 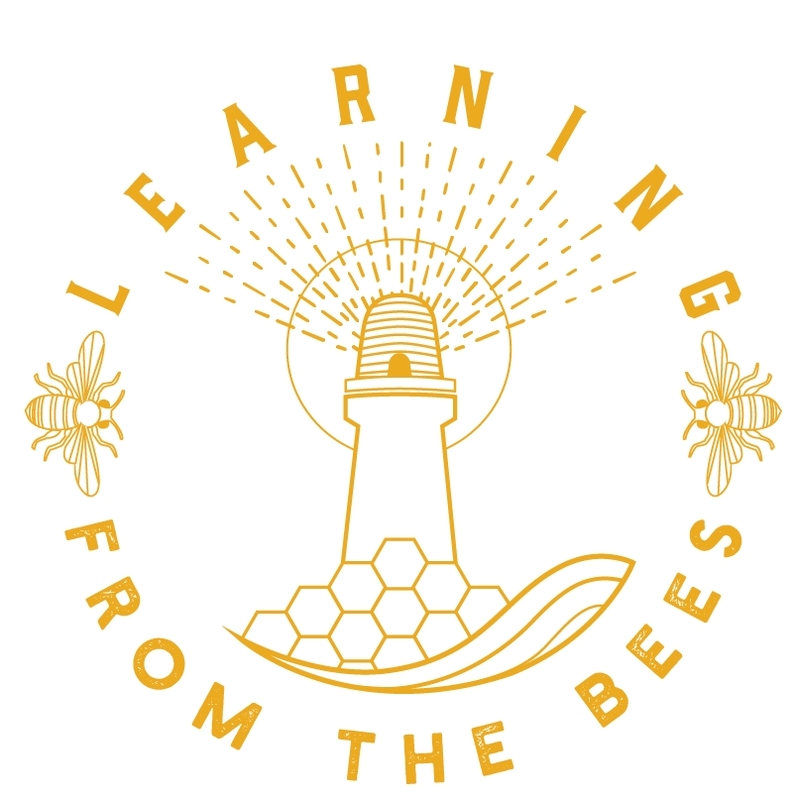 For bees, isolation from the hive leads to death, strength comes from connection and dependence. Dependence requires both sides of a relationship to work. I would like to highlight one relationship between the bees and the beekeeper which I think has been broken for over a hundred years, and it strikes at the heart of this unity - queen breeding and the changes to bee genetics caused by bee importation. Bees used to be local to their region; in Britain there was the British dark bee. But in truth, there were many more closely-related strains each with their own subtle genetic expressions, and each locally adapted over time. There were the North Lincolnshire (Boston) bees and the North Yorkshire high moor (Cleveland) bees, for example. In Britain for almost 2000 years, bees either slowly evolved within their sphere of unity or naturally devolved if the relationships broke down. Then, from the mid nineteenth century, bees started experiencing rapid changes to their genetics. Bee breeders mixed races from other continents (the Buckfast Bee being a classic example) and, worse, brought an uncontrolled flood of imported bees from the continent. 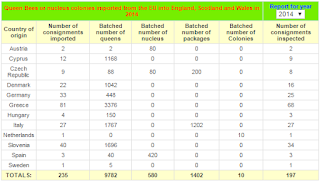 In 2014, over 12,000 queens, nucleus, packages and colonies were imported into the UK. Many of these bees come from southern Europe which has a climate very different from our own. It is little wonder that these bees struggle here. The mating of imported races with local bees, particularly those with strong native bee genetics, creates highly aggressive 2nd generation bees. Today, through breeding and importation, we are deciding what is desirable and what is not. This is often driven by simple metrics like honey yield or temperament and, more often than not, time and cost considerations. If the imported bees are not self-sufficient for winter, we fix that with sugar. If they get ill we give them antibiotics, which also kills the good bacteria. If they swarm too much we cull the queens cells. If we want more bees we artificially split hives or inseminate queens. Gone are the mutual balanced relationships that bees seek and need. Now we have a mess of genetics, propped up by clumsy (temporary) fixes. We do not allow broken relationships to break down and devolve - we fix and manipulate. The way out of this mess is not to breed native dark bees, however well intentioned. That is yet another fix and uses the same mentality that created this problem. We need to pause, and let bees find their balance in the landscape we have today, and restore our relationship with the environment. None of us, neither bees nor humans, can thrive in a toxic world. The task of the enlightened beekeeper is to become part of the bees' sphere of unity. This requires a different mindset. Are you strengthening the unity of the hive or breaking it? In truth we are not independent from our environment, but through stronger dependent relationships we could become stronger. The bees show us this. A thoughtful and well written piece. Balance is key to any relationship Bee related or other wise. Science in these modern times can show us answers to many problems but with Bees I don't think it shows us the solution. What science reveals are the mechanisms with which nature can (if left to its own devices) resolve the problems we have imposed on our natural world. If we stop trying to work against the world around us and decide to work WITH our Bees, work WITH our environment and work WITH each other a balance could hopefully be achieved. Thanks for a thought inspiring piece Jonathan! What a great article. Too bad Liz Truss didn't see this before she made her insane decision to allow neonics to be used in the UK again!! Thank you for your comments, it is encouraging to get your feedback. Writing blog posts helps me clarify my own thoughts. I started writing this a few weeks back and it was just about breeding, but as I wrote, the article changed and I think I got a better understanding the bees. Very good article. I have retweeted and favourited it on twitter, for what that's worth. Just one comment. You write two things which are slightly contradictory IMO. "Then, from the mid nineteenth century ...". In the mid nineteenth century, the importation of bees wasn't the only thing going on in the overall relationship between humans and nature. This was the beginning of the era of capitalism. My question is whether the problem is humans as such, or whether it is the particular social and economic system that has been in the ascendant for the last two hundred years or so. Adam - Thanks for the retweet, I'm sure it helps. b) The increased skills of bee breeders and their ability to travel, advertise and distribute extensively- mid 20C. So, social and economic systems are very important part of this story, but ultimately 'we' are responsible for that also. On an individual level we have the choice to use technology to import bees from distant lands or to get bees locally, and like you I am dismayed at the choices many make. So hopefully your retweet may find some who might not be conscious about what they are doing.